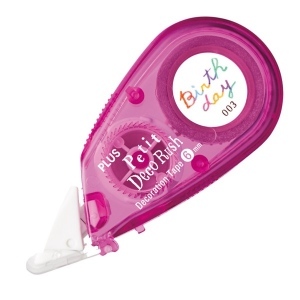 A "petite" version of our popular Decoration Tape. Simply pull across your paper to apply pattern printed tape. Hinged cap protects the applicator tip. Compact size is convenient to carry with you anywhere. Adorable patterns are perfect for creating cards, gift tags, crafts or using in your planner.